The immune system is your body's natural defense system, protecting you against a vast array of invading pathogens to keep you healthy and well. 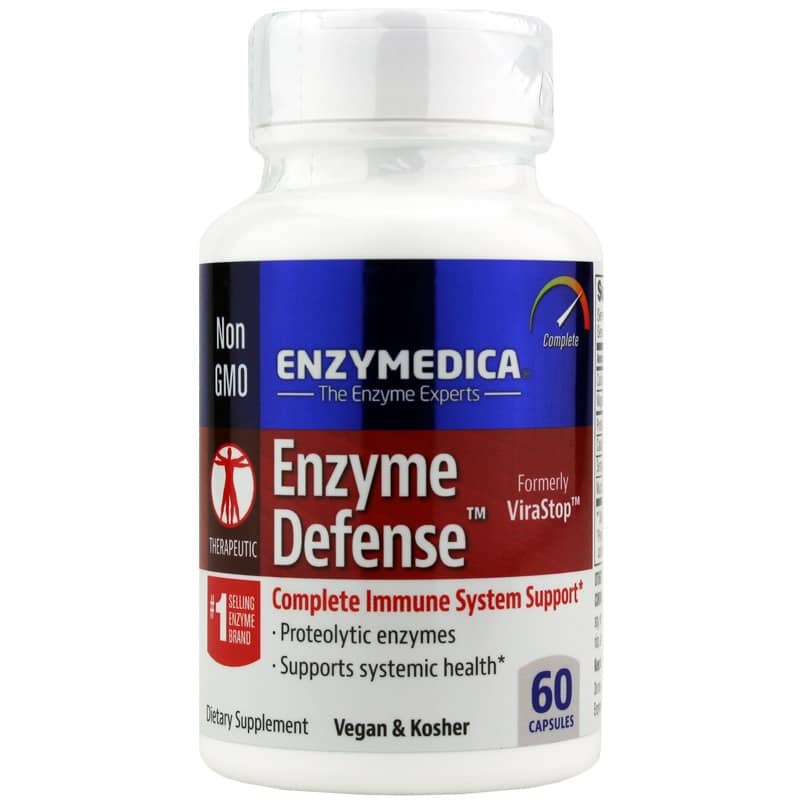 Keep your body's defenses strong with the support of Enzyme Defense from Enzymedica. Enzyme Defense is a natural immune support supplement made with a high-potency, exclusive blend of protease enzymes to support normal immune system function. Like a defense system for the immune system, enzymes play an important role in protecting the body from pathogens, helping to break down a variety of potentially harmful substances before a problem arises. Protease is able to break down undigested protein and cellular debris, and can also aid the breakdown of toxins in the blood. With these troublesome substances out of the way, the immune system is free to focus its full activity on possibly more serious pathogens. An "immune balancer" rather than an "immune stimulator," Enzyme Defense contains a blend of eight proteases to help maintain a healthy enzyme balance. 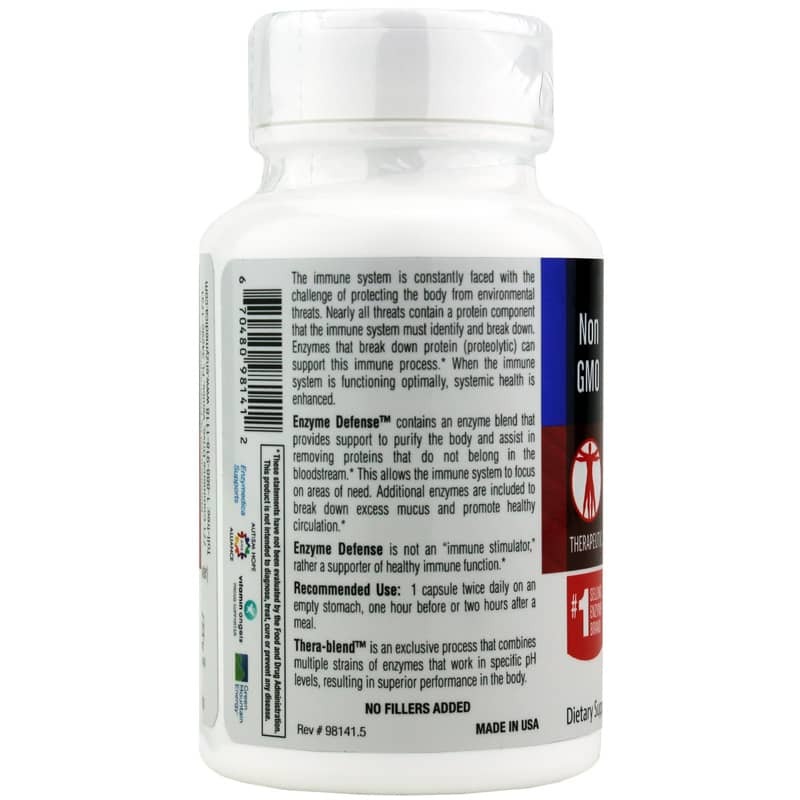 These exclusive Thera-blend enzymes are effective throughout the entire digestive system for complete digestion and assimilation by the body. Enzyme Defense is made in the USA and is vegan and kosher as well as non-GMO. Support your body's natural defense system. Order Enzyme Defense. Contains NO: egg, dairy, preservatives, salt, sucrose, soy, wheat, yeast, nuts, corn, gluten, casein, potato, rice, artificial colors or flavors. Non-GMO, Vegan & Kosher. 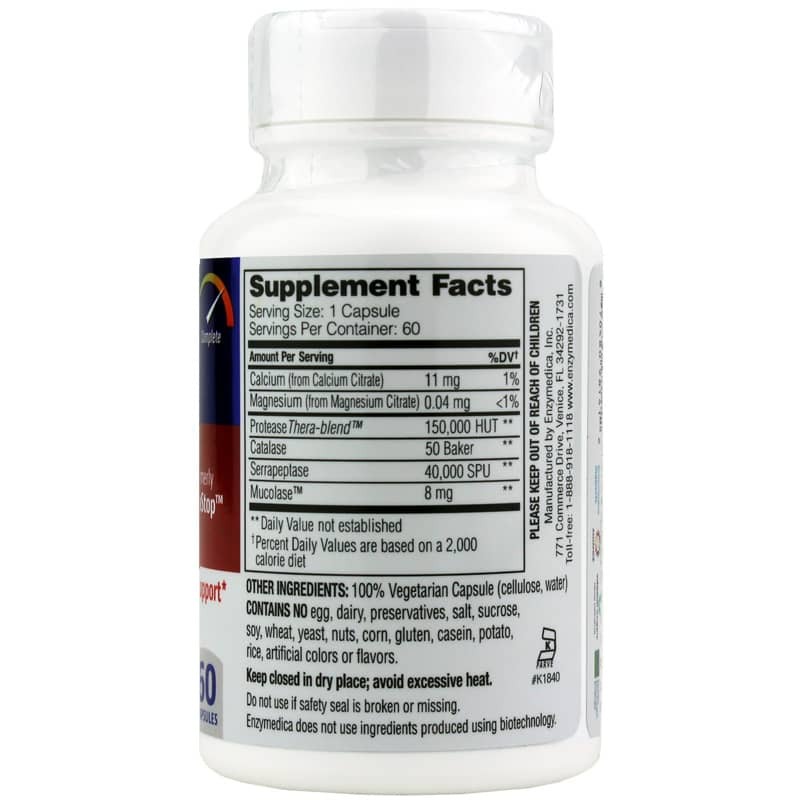 Adults: 1 capsule twice daily on an empty stomach, one hour before or two hours after a meal.